We've said it before and we'll say it again, visual content is crucial to social media success. Data and analytics have proven that adding visual content to Twitter and Facebook posts increases engagement, shares, retweets, SEO, etc. And psychology has proven that people process visuals way faster and retain more information when looking at visuals. So what kind of visuals make for good content? We are here to show you some examples! 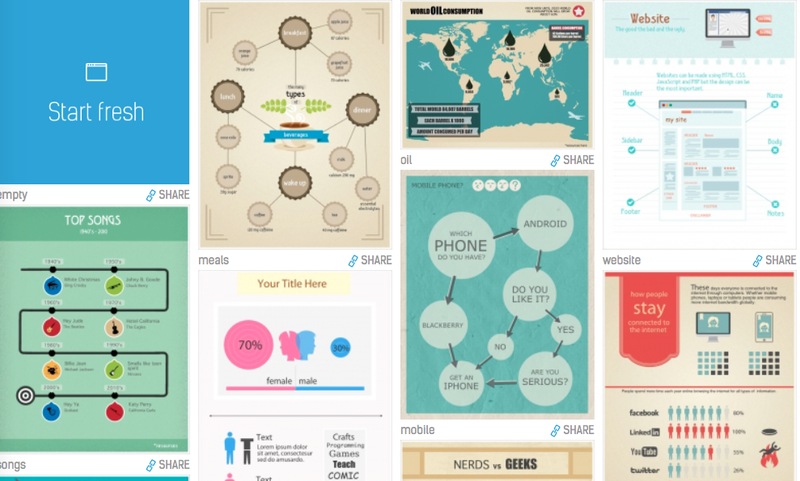 Infographics are one of the most shared visual contents out there. They are those really cool charts/diagrams that explain information visually. No matter your industry, making an infographic is a fun and visually appealing way to share information with your audience. According to SocialMediaToday.com, posts with multiple images have a greater chance of going viral and frequently get over 100,000 shares. Use this type of post to tell a story or to make comparisons with pictures. Posts with multiple photos on Facebook also receive more interaction than posts with a single photo because users must click on the individual photos to expand them. 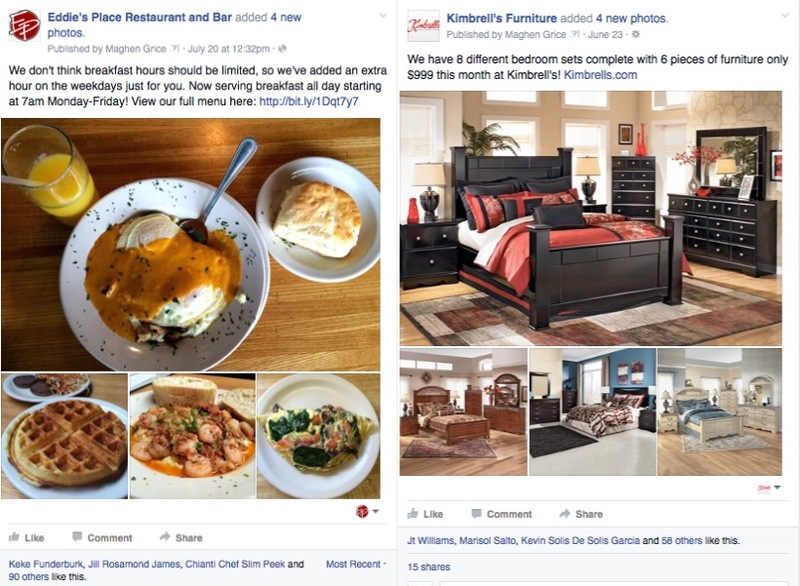 Here are a couple examples where we've used multiple images for Facebook posts. Tip: Use the free website PhotoJoiner.net to combine multiple images into one large image (as seen below with the combined Facebook posts), which is a great tool for blogs, Pinterest, etc. Facebook, Twitter & Instagram all have automatic video capabilities and your audience on these networks love videos. Even with the rise of Snapchat, short videos are popular among millennials. You don't need a camera crew or actors to create a video. Just shoot something short and simple that could tell a great story, show a behind-the-scenes clip, or show your audience how something in your business or industry is made. Tip: Use an app or Instagram filter to spice up your video with slow-mo or black & white. Hyperlapse is an Instagram app that speeds up video shot at normal speed. GIFs are another great and easy way to share a short video; add a funny GIF to your posts or create your own (we've written a blog about using & making GIFs, so check it out). 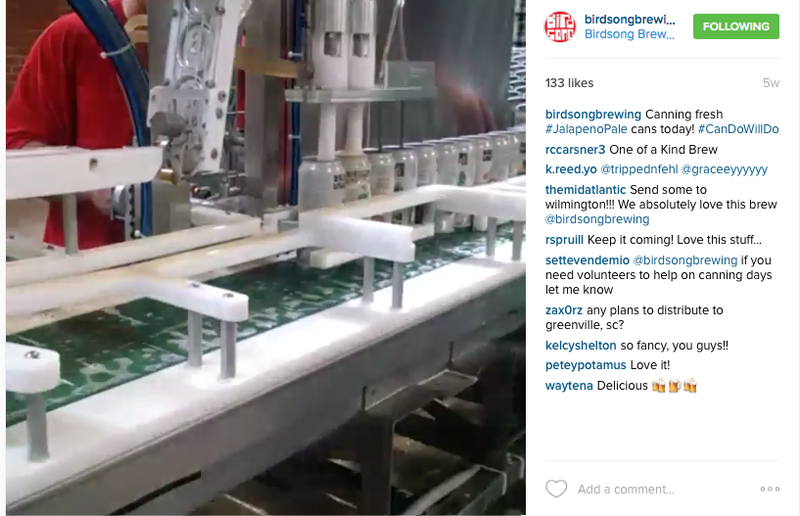 We love this example of Birdsong Brewing showing how they can their beers through a short video! Screenshots have a bad connotation when it comes to Snapchatting and blasting other's text messages to the public. However, screenshots are proof. They can be used for the good to show a sneak peek of something or share a good review. We use screen shots a lot on our blog to use original examples of our work, show data & analytics, creating step-by-step directions and even annotating them for clarity. 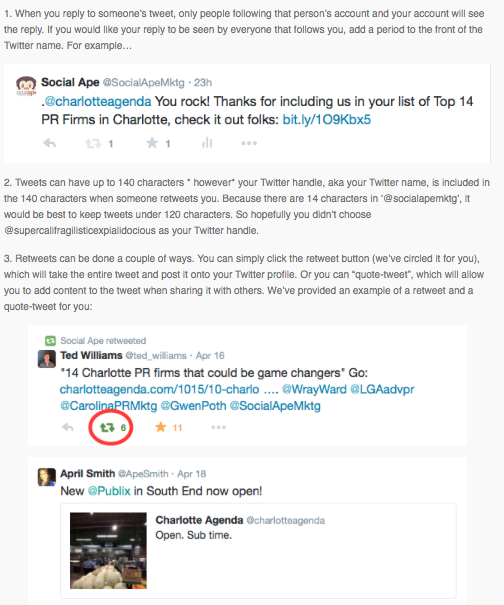 By using screen shots, you can use real-life examples to prove a point. Here is a screenshot of screenshots on our blog, or as we like to call it, Screenshot Inception. What other fun visual content have you found that really works? Tweet at us @socialapemktg and let us know!